If you are looking for exquisiteness, true elegance and the best in mens fashion, Hellmann offers you all services from custom-made suits to 360 degree personal service. 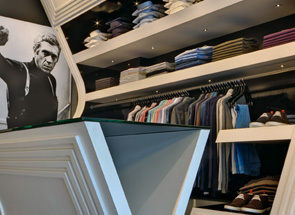 Experience a unique consultancy on your complete wardrobe planning. 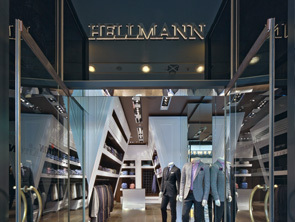 Hellmann likes to invite you to the Grand Store Opening at Friedrichstraße 71 | 10117 Berlin. The Event will take place the 21st of April 2012. We welcome our friends and customers from 18h on in our new store. Hellmann likes to invite you to the Kiton Masstage at our Store in the Friedrichstraße 71 | 10117 Berlin. The Event will take place the 20th and the 21st of April 2012. We welcome our customers from 10h to 18h on in our new store right at the Quartier 206. We also offer private appointments or reservations. Please call us under Tel. 030 | 20 14 33 51 or mail us info@hellmann-mens-wear.de.